The recent announcement of a deal between China and the US on climate may be a breakthrough development for international climate negotiations in Paris in late 2015. The actual numbers are important, of course, as our climate is responsive to carbon not politics. But the fact that China has signaled willingness to set an absolute cap on its carbon emissions may allow president Obama to argue domestically that the international conditions for action have been fulfilled. This in turn may enable him to advance a US target, which could catalyse an ambitious global deal to keep climate change within manageable boundaries. There is, however, one major remaining sticking point in addressing climate, and that is money. Seen through the lens of the international negotiations, the money needed to finance carbon mitigation and climate adaptation is due from wealthy countries as a matter of historic responsibility. The deal made in Copenhagen in 2009 was for the world to mobilise US$100 billion a year by 2020. The small print of this deal has been the topic of much wrangling since that miserably cold Danish winter. Developing countries call for it to be fulfilled with public money from richer countries; developed countries call for a mix of private and public capital alongside funds from better-off developing countries, highlighting the co-benefits of jobs, improved health and better cities from climate-related investments. Money is indeed a keystone, both to making a deal, and making it work, on the scale and within short time frame the science dictates. Nor is there any doubt that wealthier countries should foot a greater part of the bill, especially toward the adaptation costs faced by poorer developing countries such as small island states. Financial commitments to the Green Climate Fund, particularly the US committment of US$2.5 billion made at the G20 in Australia, are important symbolic gestures. That said, the US$100 billion target is a distraction. Firstly, it is both too big and too small. It is too big for OECD countries struggling to manage public debt and sluggish growth in the face of pressures for austerity. It is too small compared to the US$5 trillion a year need for infrastructure investment to keep the global economy on the road, to enable developing countries to realise their development ambitions, and to drive forward the low carbon, climate resilient transition. Secondly, climate is not an isolated phenomenon; it is an integral part of the broader transition to sustainable development. The UN Intergovernmental Committee of Experts on Sustainable Development Financing has highlighted the need to finance infrastructure, healthcare and education, access to energy and gender equality, and global public goods such as biodiversity and climate-change mitigation, to meet post-2015 development goals. UNCTAD has estimated developing countries are facing a US$2.5 trillion annual investment gap for financing for such development. The gap in credit available for small and medium-sized enterprises, the lifeblood of every economy and the main provider of jobs, is estimated at up to US$2.5 trillion in developing countries and around US$3.5 trillion globally. Thirdly, the main source of finance in most developing countries is local, both private and public. For instance, South Africa’s successful move into renewables has been largely financed locally, with domestic banks and other financial institutions providing over 80% of capital, and domestic energy consumers picking up the bill for the enabling feed-in tariff. Clean-energy investment originating from non-OECD countries soared from US$4.9 billion in 2004 to US$72.6 billion in 2012, accounting for almost half of the global total. China has been a dominant player, investing US$233 billion in renewable energy since 2004. Smaller, poorer developing countries depend more heavily on external finance, both concessionary and private inward investment. However, a growing portion of even these flows is South-South. Getting finance to flow to where it is needed for sustainable development requires not just political commitment, but a determination to align the broader financial system — including capital markets, banks and insurance — with social and environmental risks and opportunities. Today’s financial system is not aligned. Natural resource and carbon-intensive investments continue to rise, despite warnings that the value of these investments will decline in the face of technology, policy, catastrophic weather events and citizens’ choices. For example, the carbon intensity of the New York Stock Exchange has increased by 37% over the past two years. Clean technology investment has increased over the last decade, yet today less than 0.01% of annual global investment is channelled specifically into green infrastructure as an asset class. Green bond issuance may reach an unprecedented US$40 billion this year, yet credit rating agencies are only now beginning to consider the risk posed by climate to sovereign and corporate debt. China’s developing financial and capital markets offer a unique opportunity for embedding climate and broader environmental considerations into financial policies, regulations and standards from the outset, rather than having to retrofit them later as is the case in the OECD. The People’s Bank of China has recognised this, and is co-convening a Green Finance Working Group with the United Nations Environment Program’s “Inquiry into the Design of a Sustainable Financial System”, a two year, international initiative to explore options to align financial systems to sustainable development. The members of the working group, including government ministries, financial regulators, financial institutions and stock exchanges, and research institutes, have been holding a high-level symposium this week at Renmin University, in Beijing, to focus on a set of proposals for action developed over the last months. 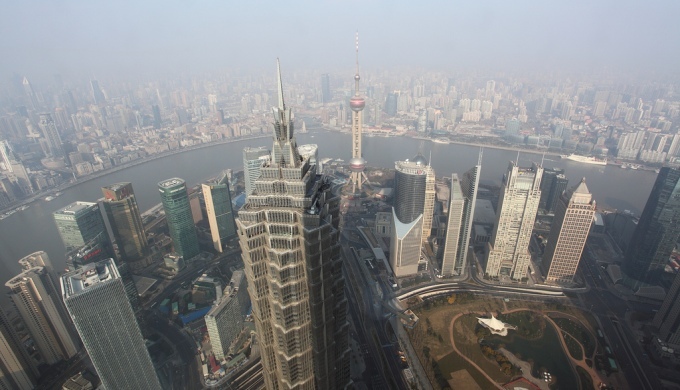 Proposals have included measures to align credit ratings to environmental risks, advance green bonds, introduce environmental indexes, benchmarks and disclosure requirements into China’s capital markets, and build on the green credit guidelines developed by the China Banking Regulatory Commission. The UNEP Inquiry has provided international inputs by sharing experience of best practice, from countries including Bangladesh, Brazil, Europe, South Africa and the USA. Similar exercises are in progress elsewhere. In the UK, The Bank of England is progressing a prudential review of climate-related risks in the insurance sector; Bangladesh’s central bank is providing green refinancing windows at preferential rates; and South Africa’s pensions law encourages trustees to consider social and environmental aspects of investments. Credit rating agency Standard and Poor’s has taken steps to integrate climate risk into sovereign credit ratings, and there is an international initiative to establish standards for “integrated reporting” by companies. The initiative by China’s central bank and the UNEP Inquiry is one of a growing number of green finance initiatives in China. The Finance Institute of the Development Research Center of the State Council has been exploring options for green finance policies and regulations over the last two years, working with the International Institute of Sustainable Development and the UNEP Inquiry. Several new green finance research platforms have been established, including policy debate progressed by the Eco-Forum Global, and some led by the Ministry of Environmental Protection, including a new task force established under the auspices of the China Council for International Cooperation on Environment and Development. Several centres have been established at leading universities, such as the Central University of Finance and Economic’s Research Center for Climate and Energy Finance, and the newly established Eco-Finance Center to be launched soon at Renmin University, both on Beijing. Making any climate deal work in practice depends on having a financial system that is able to respond and allocate capital towards sustainable development. China is rightly considering its options. What it is recognising, as are others around the world, is that improved alignment will not just offer better environmental outcomes, but more effective and efficient financial and capital markets that support the long term needs of healthy economies. The article was first published in chinadialogue.